The Foreign Ministry has warned citizens not to deal with individuals or offices of apprenticeship abroad that offer any so-called “free visa”, which would allegedly allow its holder to work at any body or position within the country of the visa. The Ministry stressed on Thursday that no such visa exists. It added that these visas typically lead to the deportation of their holder for violating residency laws, after their data is added to a ban list by a foreign country’s authority. Workers often waste their funds in order to obtain the visa, the ministry warned, and may not get a chance to work in the given country again if they are banned. 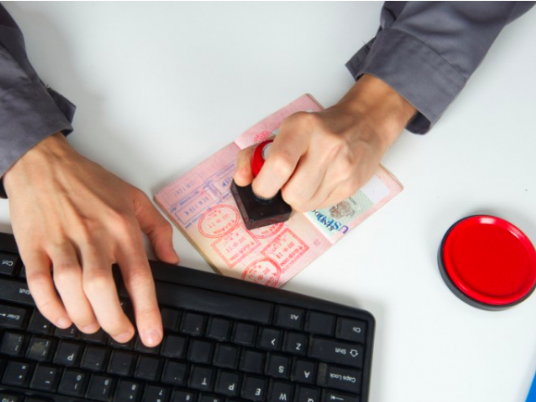 Visas can only be obtained only through the official channels licensed by the Ministry of Manpower and Immigration. In April, Egypt’s Interior Ministry also warned about an American website, dubbed ‘GCL Internet Services’, which has been allegedly offering e-visas to Egypt at double the official price. The ministry stated that tourists who are looking to obtain an Egyptian visa must do so using the official government website.